Saint-Aubin-sur-Mer is a small seaside resort full of charm. At the seaside you can find a family sandy beach with typical wooden cabins and a seafront promenade lined by beautiful old villas. 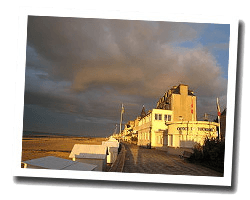 Located in the Anglo-Canadian sector of the DD Landing Beaches, Saint-Aubin-sur-Mer is a perfect basis for historical tours. 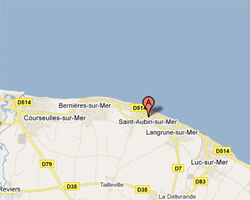 In Saint-Aubin-sur-Mer enjoy a seaview holiday rental.